Here we are then, three years since The Beauty of Transport started publishing. With a few exceptions along the way for the diabolical, the vanished, or the never built, it’s been three years of interesting, attractive examples of transport design, or transport’s appearances in wider culture. Sometimes branding or corporate design have been the focus, sometimes it has been pieces of infrastructure, and sometimes it has been tiny objects from the transport industry that weren’t necessarily designed to be attractive but are anyway. I had an interesting conversation recently about the point of all this. I’d always intended to share the ways in which the transport industry has made the world a more attractive place. 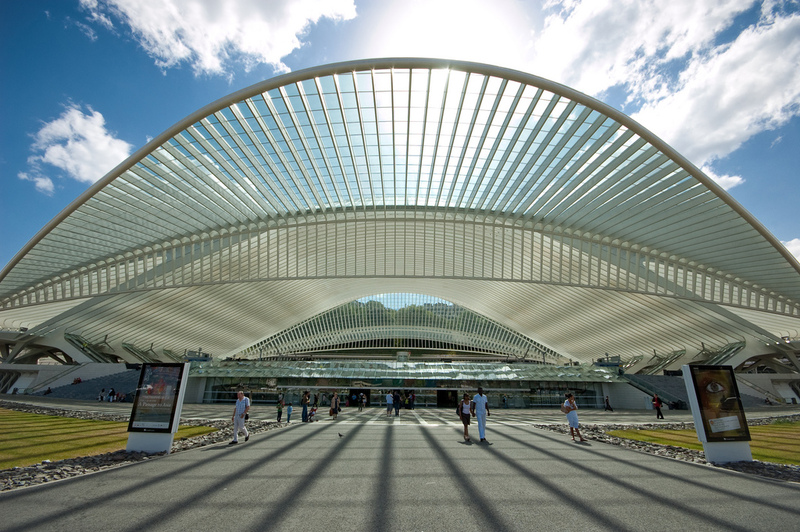 The Beauty of Transport is also supposed to show what can be done when people in the transport industry put their minds to making it exciting or aspirational, rather than mundane and forgettable. It was pointed out during this conversation that there actually can’t be much wrong with transport design if I’ve gone for three years featuring lovely and interesting things, and still have a forward-list as long as my arm. At this point, I realised The Beauty of Transport might have been giving a slightly false impression of the state of transport design. 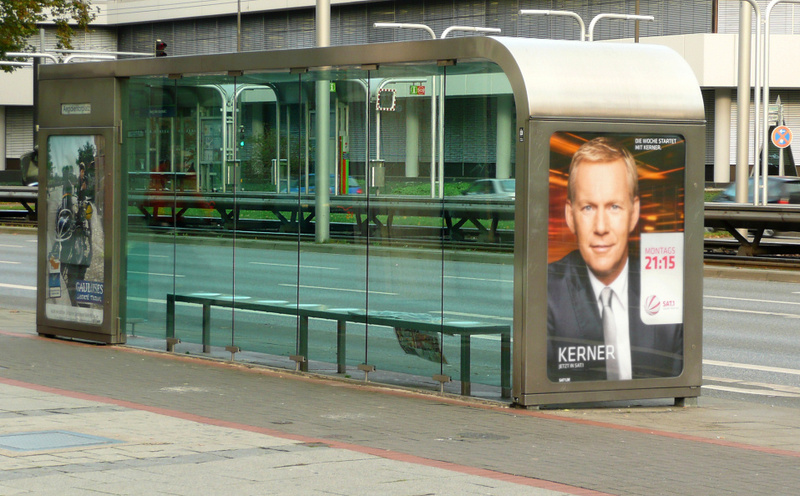 I’m afraid the reality is that for every appealing bus or tram stop I’ve featured there must be a hundred awful ones. For every eye-opening railway station there are countless dull, draughty, and thoroughly dismal ones. For every clever piece of corporate identity or branding work, there are innumerable transport companies who think such work is pointless; who don’t seem to want you to care who is providing your transport or what image they project. I’m interested in all modes of transport. I’m not a rail enthusiast, bus enthusiast, aviation enthusiast or petrolhead. I just want people to choose to use the most appropriate mode of transport for themselves (or their goods) in any particular situation. They will only do that when those modes of transport seem like an attractive option. The car industry grasped this a long time ago, and so do a lot of airlines. But in modes like trains, buses, walking and cycling, there still seems to be considerable reluctance to reach out beyond those who are forced, for whatever reason, to use these modes. There will be times when a car is the best way of making a journey and when that happens I want car drivers to use filling stations and motorway service areas that aren’t soul-destroying lumps of architectural mediocrity. At other times, though, a bus might be the most appropriate mode of transport. So I want people to be attracted to use buses by the provision of decent bus stops at which they can wait in comfort without getting wet, or not being able to see the bus coming because there’s an advertising poster in the way, or sitting in a wooden shelter which is slowly rotting away, or in a metal and glass shelter which is rusting and which anyway has no architectural merit of any sort. Within an eight mile radius of where I live I can think off the top of my head of a double-figure number of dismal bus shelters which give the impression that bus travel is a distress purchase intended only for those with no alternative, rather than a sensible alternative to the car for local journeys along key corridors around and between towns. And that’s a fairly tame one for The Beauty of Transport. But for every one of these there are others which squander the opportunity completely. 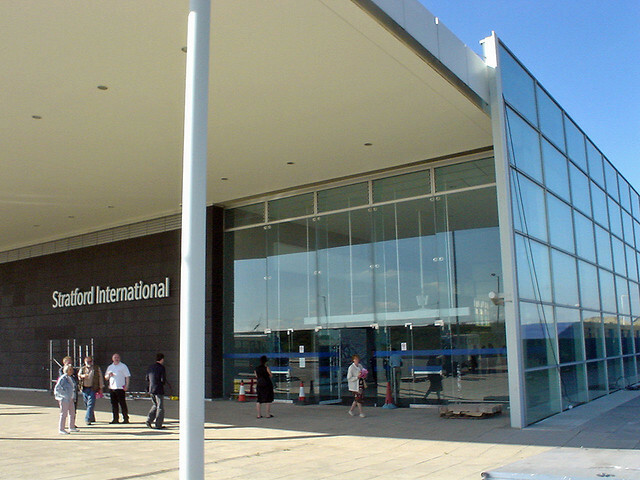 How is it that Britain ended up with this bland box of a station on its flagship new High Speed 1 line? I despair. Is this really the best that the combined brains of Britain could achieve? Over longer international distances air travellers also deserve an environment which makes the experience seem like the adventure which, at heart, it still actually is. The spirit that brought us the TWA Flight Center lives on in airport terminals like Madrid Barajas Terminal 4, so why are we still building bland and lifeless facilities like Heathrow Terminal 5? I’ve used The Beauty of Transport to highlight thoughtful public transport vehicle interiors, but the truth is that the majority are falling further and further behind the standard set by cars. Trains and buses shouldn’t feel the need to copy car interiors, but offer something different which is unique to them. Some bus companies are finally grasping this, not least the disruptive bus operators springing up in America, like San Francisco’s Leap Transit. Its passenger accommodation demonstrated that a bus could offer an environment which was attractive to business travellers. Sadly, like many start-ups, Leap Transit couldn’t establish its business firmly enough, and has since folded. But it would be wrong to assume (as many train and bus operators seem to) that such failure proves passengers want only a seat, any seat, and deserve nothing more. Carpets? Double-glazing? Air-conditioning? Power points? Fixings where the bolts aren’t left exposed to collect grime and rubbish? No chance. Even getting free wi-fi on public transport in Britain is still unusual, despite young people (surely a target audience given that sky-high insurance premiums might have dissuaded them from buying a car yet) being welded to their mobile devices. The last time I suggested this perhaps ought to be part of the basic offer on British trains I got a bunch of replies telling me off for asking for something which is too difficult to provide. Well, since then South West Trains has introduced free wi-fi on some (but far from all) of its trains, so obviously it can be done. But why isn’t it being done everywhere? Let’s not forget the ‘soft’ modes, walking and cycling, ideal alternatives to car travel for short distances in town centres. They do away with all the noise and fumes of car traffic just where that pollution really ruins a place. Too often the offer is a cycle lane painted on the road (except where it vanishes as the road starts to get a bit narrow, i.e. exactly the place you need one to give you a bit of security amongst the motorised traffic), or a couple of sad-looking cycle hoops. Pedestrians, meanwhile, tend to be treated as needing to be herded away from road traffic, penned in with railings, fences and subways. Yet the Luchtsingel in Rotterdam has shown that the appetite for good quality pedestrian facilities is such that people will pay for it themselves. Occasional bright spots like the Hovenring and the Webb Bridge have boosted the image of both walking and cycling, but remain rare. That’s the physical side. But in Britain there’s also been a disappointing move towards bland or non-existent branding and corporate identities when it comes to public transport. I was amused to discover that research by passenger watchdog Transport Focus found that train passengers in East Anglia didn’t recognise the brand of their local train operator Abellio Greater Anglia (see p39 of this report). It’s hardly a surprise, given the company barely has a visible brand at all. 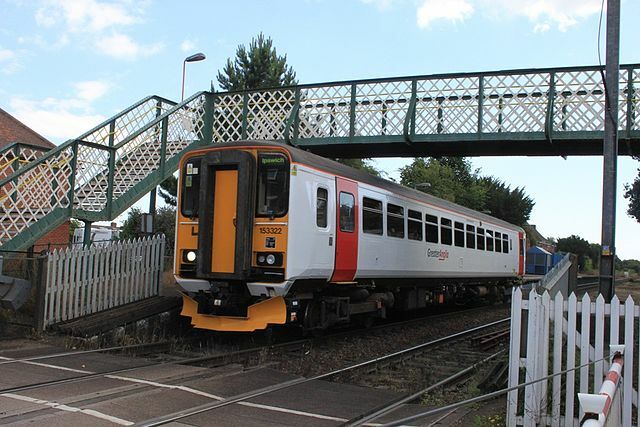 The visual identity of Abellio Greater Anglia’s trains (the place most passengers are actually likely to notice branding) is light grey with red doors and only a tiny – as though embarrassed – logo in the middle of the bodyside. Though there is still some super branding and corporate identity work going on in the British railway industry, boring white liveries for trains have been gaining ground recently. Southeastern has had one for a long time, which it inherited from Connex and inexplicably decided to continue, National Express’s c2c livery isn’t any better, and the new Thameslink Southern Great Northern livery was basically mandated by the government (always a bad sign) to be mostly white. Yet we know that good branding, which includes train liveries, can change the culture of an organisation, making it much more customer focussed. So who is to blame for all this dull, ugly, unappealing transport design? Strangely, I think one of the answers is (quite without them meaning to) public transport passenger watchdogs and pressure groups. 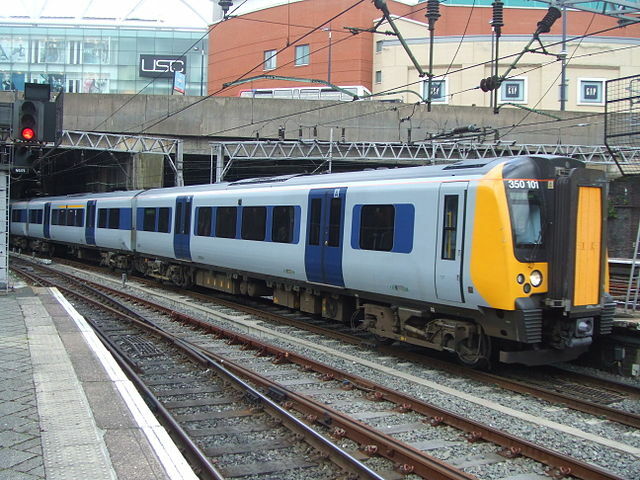 For years, especially since the post-Hatfield meltdown of 2000 led to a total collapse in train punctuality, passenger representative groups have been demanding better train punctuality and reliability. Thanks to Transport Focus’s now well-established bus and train passenger satisfaction surveys, we know that the single biggest driver for train passenger satisfaction is punctuality/reliability (35% in the latest National Rail Passenger Survey). For bus passengers it is one of the most important drivers (it varies by area, and sometimes journey time or waiting time at bus stops, itself strongly related to punctuality, is the most important). A form of inverse snobbery seems to have taken hold, in which some bus and train operators seem to make deliberate decisions to have boring brands, basic interiors and plug-ugly train fronts, as though to prove they’re spending all their available money on punctuality and reliability. Oh yes, plug ugly train fronts. When Gatwick Express unveiled its new trains in 2000, they had a dramatic and highly-styled front end that could be (and was) used in promotional literature as a means of attracting customers. That front end wasn’t particularly to my taste, but I don’t mind that. I’d rather transport was full of interesting things that divide opinion, than things no-one even notices. Almost un-styled trains, because woe betide we spend any money making them look nice. There aren’t even any covers on the anti-override ‘buffers’ on the front, for goodness’ sake. How can anyone use a boring-looking train like this to sell the aspirational qualities of train travel? Why do you think car manufactures spend so long making their cars look desirable? It’s not for the fun of it. At least Siemens, manufacturer of the above, seems to have learnt its lesson; its new trains for Thameslink are considerably less plonky looking. The mindset of taking delight in spending as little as possible, on something as low quality as possible, extends to local authorities as procurers of bus shelters, though for slightly different reasons. 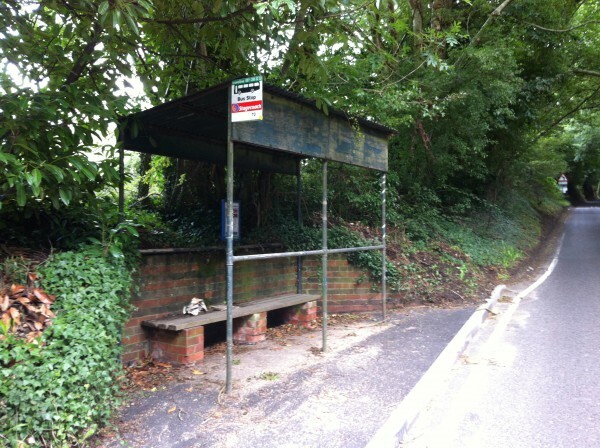 Put in anything other than the most basic, unattractive and uncomfortable bus shelter (or, in many cases, sign up to a contract with a shelter supplier that provides anything other than such shelters) and you will be accused of wasting taxpayers’ money; money that could otherwise be spent on old people or children in care. I know because residents of Surrey used to regularly accuse me of wasting money when I carried out minor upgrades to bus stops making them more accessible, or just providing something as ‘radical’ as a waterproof timetable case and a visible bus stop flag. I also know a thing or two about looked-after children and I can tell you with complete confidence that the amount of money it would cost to get attractive and comfortable bus shelters installed, instead of draughty and basic ones, would make absolutely no difference whatsoever to the quality of provision for looked-after children. Think about this behaviour if we were talking about supermarkets. I’m pretty sure that most customers of supermarkets have as their number one concern that there should be products available to buy. Yet we simply expect this as part of the basic offer and we want supermarkets to go beyond this. We wouldn’t put up with tatty and run down displays, filthy shop windows, or plain shop exteriors carrying just a tiny logo for the name of the supermarket. We’d think the supermarket didn’t care about us enough to present themselves professionally and attract us in by providing a smart shopping environment. When the Co-operative supermarket chain took over its rival Somerfield, it was rightly criticised for taking not rebranding the Somerfield shops as Co-ops, and for the confusing mix of new Co-op and old Somerfield signage and products in stores (see here). Yet when train operators re-brand after franchises have changed hands, you can reliably find some transport commentator suggesting that it’s not worth repainting trains and signage out of their old colour schemes, and generally berating the waste of money rebranding represents; money that could otherwise be used to…make the trains run on time. 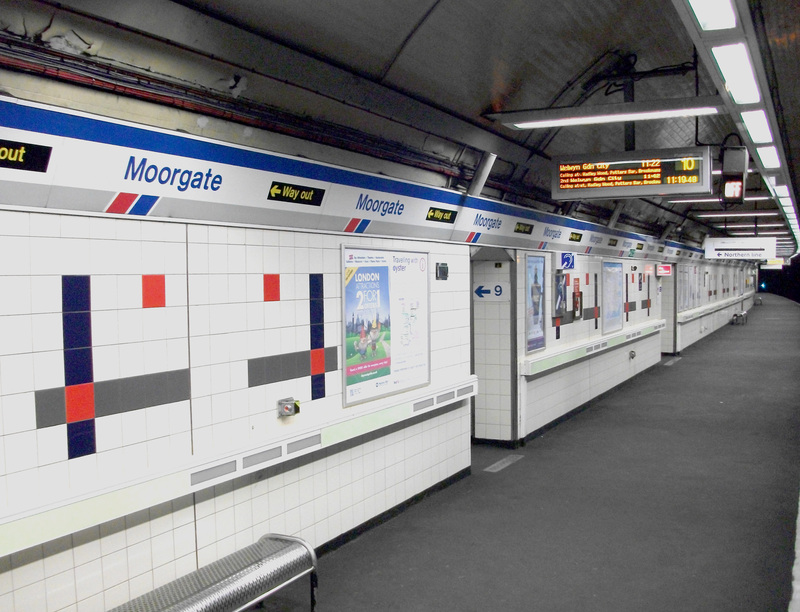 I invite you to visit Moorgate station in London, much as Passenger Transport magazine’s Mystery Traveller columnist Alex Warner did last month. Here you can find a station that hasn’t been rebranded or redecorated by any of its privatised train operator owners since the days of the publicly-owned Network SouthEast. 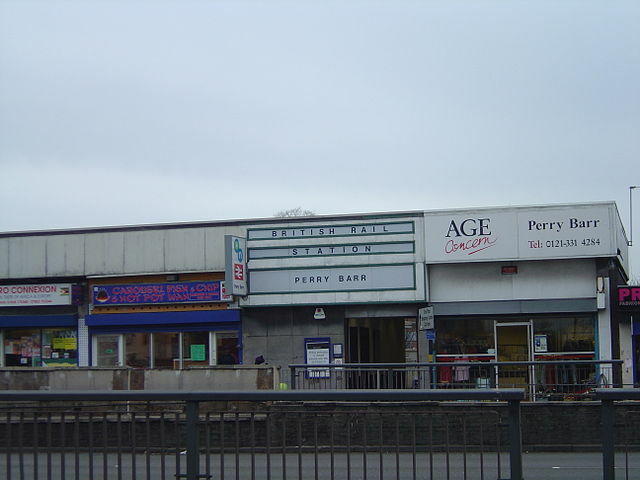 The station’s branding is stuck in a 1980s timewarp. So, is that clever because it shows the train operators must be spending all their money making the trains run on time? Or does it show you that the train operators didn’t care enough about your travel experience to spend any money on the station? Perhaps that they’re not confident enough in their operation to claim ownership of the station? Does that give you a good feeling as a passenger? I’m not even expressing a particularly new idea here. I’ve heard Best Impressions‘ design director Ray Stenning on countless occasions patiently explaining that providing buses and trains which run on time is the basic offer of a public transport company. It’s no more and no less than what they ought to be doing, not a cause for celebration. Imagine if a major supermarket chain told you they were really concentrating on trying to make sure there were things to buy in store. You’d be amazed that it could have considered anything else. The challenge is not to ensure trains and buses run on time. That’s simply the day job, the core offer. The challenge is to ensure that buses and trains make themselves attractive, so that car drivers can be persuaded to get out of their ever-more-comfortable cars and onto public transport, and people make their journeys in the most appropriate form of transport available. It can be done, because most weeks we look at an example of what has been done. If Frank Pick could conceive of a London Transport in which design was as important as operational considerations in the 1930s, the transport industry ought to be able to manage it now. It’s time to stop being embarrassed about making public transport, walking and cycling seem aspirational for fear that someone will say that doing so is a waste of money. What’s a waste is spending money creating walking, bus, cycle, rail and tram networks that only those with no other choice end up using. We’ll never have a sensible transport system in which people use the mode of transport best suited to their journey, if that’s how we try to do it. And so, rant over, next week I promise you another example of something wonderful from the world of transport. Just bear in mind that it will be an example of good practice, rather than representing the standard offer. You’re quite right! If suddenly public transport was run by apple and branded accordingly…imagine how uber trendy it would be to be taking the bus! But Apple is not just about style. Their whole ethos is in the customer experience. It has to be simple, easy to use and reliable. By starting with these core aims and then forgetting how it is currently done, they revolutionised portable music (iPod) and then mobile phones (iPhone). This simple, consistent customer experience is then enhance by a very strong brand. Without the great product though, the branding is pointless. Thanks, good points well made. 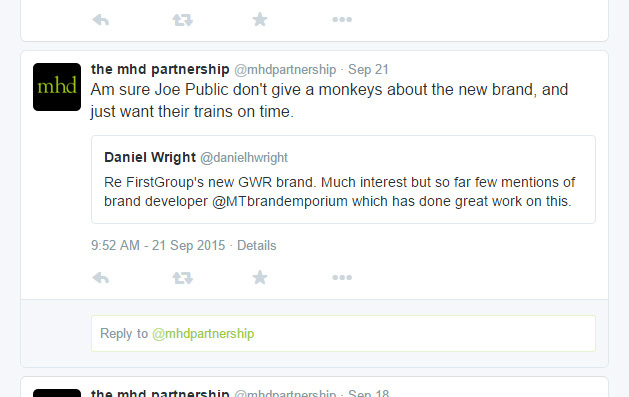 Also sorry to single mhd out in the article; it was just that the tweet was recent and easily to hand. I do appreciate that you made your point without resorting to personal abuse (of the ‘#idiot’ sort which I attract from time to time), I’d like this blog to be where people can comment and sometimes disagree but productively over genuine points of view. In general I think you’re quite right that there’s not much point having a snazzy brand if the product is no good. But I’m also slightly in despair that there are still train or bus operators who can’t get the basics right after all this time. And I’m also swayed by the BR Railfreight and Network SouthEast experience where rebranding led to a culture change within the companies, greatly improving the customer experience. I’m hoping that the new GWR rebrand might inspire its staff more than working for something called First Great Western. I might well, of course, be completely wrong, and the whole thing will one day be seen as a vast waste of money. Time will tell! Someone once suggested that a good way to tell if a company has a coherent and effective brand is to imagine that company running a train service. If you can easily imagine what their trains would be like, then the company has a solid brand. I remember in that case it was IKEA that was being referred to – and I could imagine exactly what an IKEA train would be like to ride in. You might not want Apple running the trains, but I bet you can imagine exactly what the inside of their trains would be like! Leap Transit certainly did a lot wrong, and focussed far too heavily on young techies rather than trying to build a broad customer base. But I worry that too many bus companies in Britain are also focussing too heavily on narrow market segments (the elderly, concessionary travellers, for instance) instead of making buses attractive to everyone. 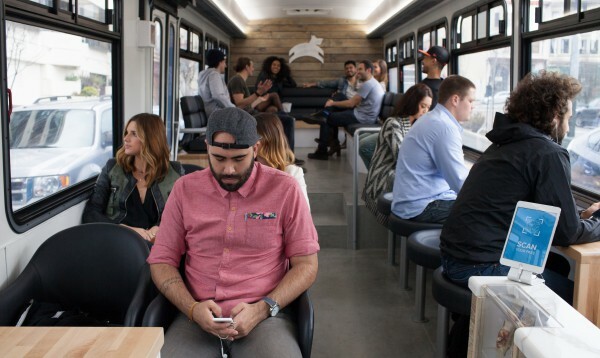 I wouldn’t want to replicate Leap, but I liked the fact it rethought what the interior of a bus might be. It might not have found the right answer, but there is more potential in bus interiors than simply row after row of seats bolted onto a rubberised floor, lit by bare flourescent tubes. It would be a shame if we chucked the baby out with the bathwater and disregarded everything that companies like Leap did to alter the perception of bus travel, just because they didn’t do everything right. Thanks for taking the time to comment – much appreciated. I think it’s a British thing. We simply don’t like nice things. As a nation, we are happy to have something to moan about so if a company makes an effort, they are criticised. If they don’t, it’s the same. The lack of care extends from the top to the bottom. My local station has a number of signs where the brackets hanging them from angled joists have been swapped accidentally during maintainance. Doing the job properly would cost not more than doing it wrong but the attitude is that it doesn’t matter if the sign is a little wonky. On a practical level, it doesn’t, but overall, the effect is that no-one cares. Having said this, the root cause is we like cheap. With the exception of Apple devices, cheap is much, much more important than good. Good design looks expensive so everyone rubbishes it even when it costs no more than the cheap stuff. Government and Councils boast that they have saved money, even when the results are found to be worse. We head for the cheap supermarkets and are proud of the savings. Of course, public transport is seen as something for people with no other option. Government might bang on about wanting cars off the road but they don’t really mean it. They see people on buses as old, poor and smelly. Nice people drive nice cars so they matter. Having said this, Stagecoach have just replaced the local buses with nice, new Gold coloured Solos with free WiFi and USB charging points for all the leather seats. Quite a surprise as the old buses still had life left in them, even if they were starting to look worn.